Women and girls in Bangladesh are deprived of their Constitutional rights in accessing justice and gender-based violence is a very common phenomenon. However, the Government of Bangladesh has ratified the Convention on the Elimination of All Forms of Discriminations against Women and passed the Women Development Policy 2011 to ensure strong protection for women and girls’ rights. But this has not changed the reality in the field yet. An unacceptable social attitude among a section of the society and officials towards women and girls is still there. Weak enforcement of women-friendly laws and regulations, slow but insufficient judicial protection, inadequate social protest and protection, poor family environment, poor and inadequate intervention from human rights defenders (HRDs) and weak voice of women human rights defenders (WHRDs) are the major impediments in ensuring women’s and girls’ rights in Bangladesh. News Networked has teamed up with the European Union in Bangladesh to address these issues and has taken up a comprehensive project. 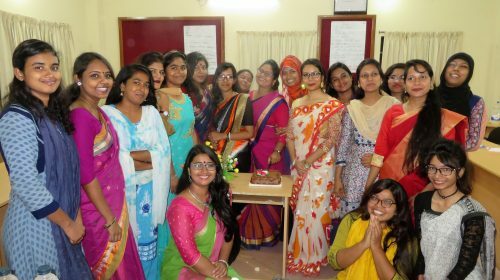 The Project entitled, “Supporting Human Rights Defenders Working for Women’s and Girls’ Rights in Bangladesh” is a three-year project started in January 2018. The project funded by the European Union and implemented by the News Network in partnership with Udayankur Seba Sangstha (USS) in the rural areas of eight districts along the Indo-Bangla international border namely Satkhira, Jessore, Rajshahi, Niphamari, Rangpur, Dinajpur, Lalmonirhat and Kurigram. The overall objective of the project is to provide support to Women Human Rights Defenders and/or Human Rights Defenders (W/HRDs) working for women’s and girls’ rights in Bangladesh. The project has been working to recognise and promote the role of WHRDs in the protection and promotion of human rights and fundamental freedoms and to protect them addressing the challenges, risks and threats that they may face. It also supports and protects WHRDs at risk due to their work for the promotion and protection of the full enjoyment of women’s and girls’ rights. Media professionals of print, electronic and social media including potential young women journalists and rural media gatekeepers-editors, news editors and executive editors, rural journalists and creative women journalists are the targeted beneficiaries of the project. Rural civil society organisations’ leaders, both male and female, and rural religious leaders who are working to promote women’s and girls’ rights are also its beneficiaries.